On April 24, 2013, just outside of Bangladesh's capital city of Dhaka, an eight-story garment-factory complex collapsed, killing 1,134 workers and injuring 2,500 more. The disaster, widely considered the apparel industry's worst to date, ignited a furor of international proportions. It also gave birth to Fashion Revolution, a global grassroots movement, 80 countries strong, that demands transparency in the way our clothes are sourced, produced, and sold. Now in its third year, the formerly day-long campaign will run for an entire week, beginning April 18 and leading up to the anniversary of the tragedy at Rana Plaza. Like in previous years, however, one question looms above all others. 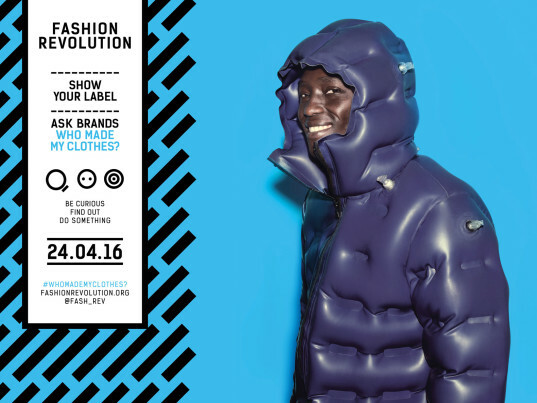 It's even hashtagged for the social-media generation: #WhoMadeMyClothes? Carry Somers, who co-founded Fashion Revolution with fellow designer Orsola de Castro, thinks it’s time for some straight talk from the fashion industry. 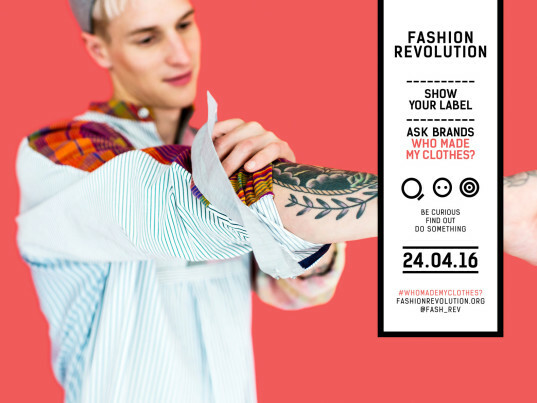 “We want people around the world to show us their clothing labels and ask #WhoMadeMyClothes; we want every stakeholder in the fashion supply chain—retailers, brands, factories, private label manufacturers—to show us the people who make our clothes and answer #IMadeYourClothes,” she told Ecouterre. Sounds simple enough, right? Not for the countless brands and retailers whose planet-spanning supply chains are opaque even to them. In fact, as many as 48 percent of fashion companies haven’t traced where their products are made, according to Behind the Barcode, a series of industry reports conducted by Baptist World Aid Australia to promote ethical consumption. In a survey of 219 brands last year, Behind the Barcode found that 75 percent of them didn’t know where their fabrics came from, let alone the origins of raw materials such as cotton, which is particularly vulnerable to child and forced labor. We can blame much of this disconnect on what we know today as “fast fashion,” a business model based on cheap prices, rapid turnover, and planned obsolescence. Fashion Revolution suggests that fashion lovers skip the usual roundup of their recent purchases and shoot a #Haulternative video, instead. A downloadable guide provides theme ideas (examples include “Love Story,” “Broken and Beautiful,” and “Fashion Fix”), supporting facts and resources, and even customizable scripts. But that’s not all Somers and company have planned. 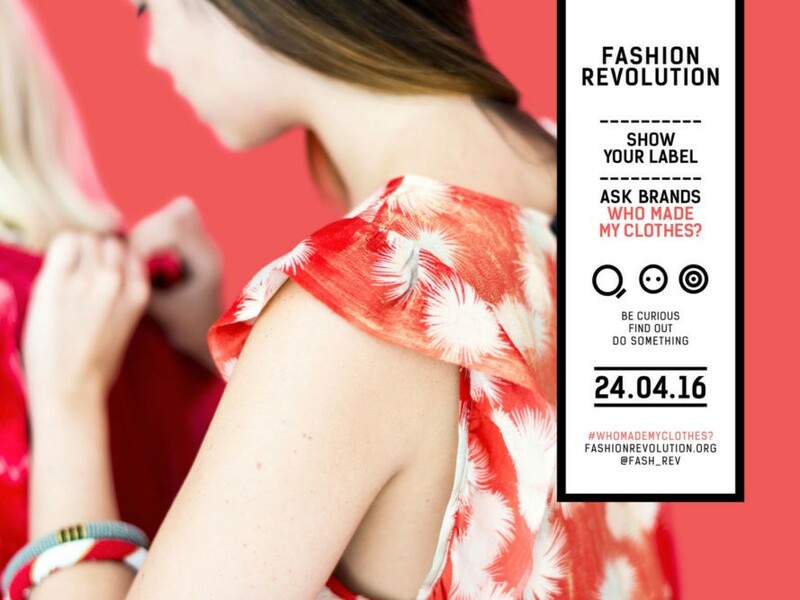 This year, Fashion Revolution will be launching its inaugural “Transparency Index,” an assessment of the supply chains of 40 leading fashion brands. Other events include a three-day conference in Madrid, a film festival in South Africa, a flashmob fashion show in San Francisco, plus numerous movie screenings, pop-up stores, panel discussions, and clothing swaps across the globe. If you haven’t already heard, H&M recently announced that World Recycle Week, an initiative by the Swedish retailer to recycle 1,000 tons of unwanted clothing, will also take place during those seven days. Fashion Revolution has called out H&M, the largest producer of garments in Bangladesh, for its insensitive timing, which the retailer declares is completely coincidental. 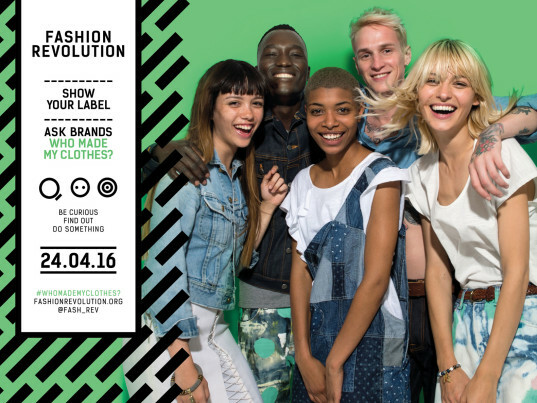 There’s more: Fashion Revolution also pointed out what it calls “misleading language,” which it says overstates the impact of H&M’s recycling initiative. The vouchers that H&M uses to reward customers who recycle are another sticking point, de Castro says, since they only encourage further overconsumption and result in even more potential waste. “Don’t ask H&M to collect used clothing, ask them to make less clothing, better made, made by hands that have benefited from learning new skills to make quality, not disposable garments,” de Castro told us. Still, there’s a semi–happy ending to H&M’s scheduling faux pas. The retailer has promised not to double-book the same week for any future events. 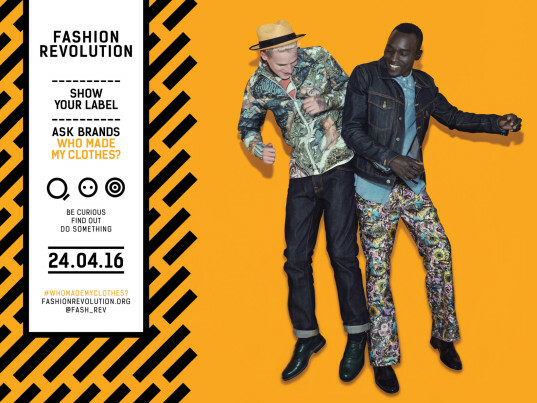 For more information on how to become a Fashion Revolutionary, visit www.fashionrevolution.org and download the free guide . Carry Somers, who co-founded Fashion Revolution with fellow designer Orsola de Castro, thinks it's time for some straight talk from the fashion industry. In fact, as many as 48 percent of fashion companies haven't traced where their products are made, according to Behind the Barcode, a series of industry reports conducted by Baptist World Aid Australia to promote ethical consumption. In a survey of 219 brands last year, Behind the Barcode found that 75 percent of them didn't know where their fabrics came from, let alone the origins of raw materials such as cotton, which is particularly vulnerable to child and forced labor. We can blame much of this disconnect on what we know today as "fast fashion," a business model based on cheap prices, rapid turnover, and planned obsolescence.